Since 2010 the MWSRP has invited schools and groups of young people to join our research operation on the beautiful island of Dhigurah. Groups join for a week or two weeks and we can cater for age 12 – 18 years. Working alongside our team of experienced marine biologists, conservation practitioners and outdoor educators our goal is to expose young people to all aspects of our programme. While studying the world’s largest fish and encountering some of the most spectacular marine life on the planet, participants will also learn the importance of detailed data collection, analysis and interpretation and the role science plays in the management of our species and ecosystems. One thing that won’t be encountered is a classroom. In our experience there’s no better place to discuss the impact of climate change than when sat on a sandbank with the tide lapping at your toes. Whether its rising sea levels, ocean acidification or plastic pollution, the Maldives lends itself as a case study because it’s on the front line of so many of the worlds biggest environmental challenges. Culturally the real Maldives offers something quite different too. Small island communities are incredibly hospitable and relish the opportunity to welcome and share their culture with groups from around the world. That said, these communities mean the world to us, we’ve worked closely with the local school for 11 years. We facilitate opportunities for young people to meet their local counterparts, bond over shared activities while also encouraging a genuine and mutually enriching exchange of experience. We want young people to learn how research fits into the bigger picture of conservation. 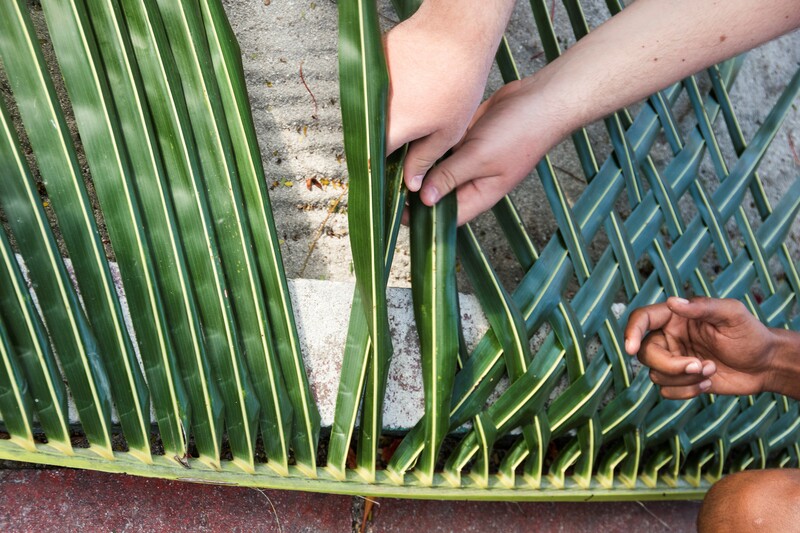 How conservation is as much about people as it is wildlife. From the MWSRP team, to the community we’ll be staying with, to the tour operators and the tourists that seek the whale sharks, to the fishermen and the government policy makers. When it comes to whale sharks, it’s habitat, the natural world, we’re all stakeholders that all have a role to play. Participants are challenged in a safe environment. We believe strongly that by overcoming the physical, cultural and intellectual challenges we throw at them, young people leave us inspired, not just by the beauty of the whale sharks and the Maldives, but by their own potential. Please see our Sample Itinerary and Safety and Security FAQ. To inquire further please Contact Us. ASD’s first collaboration with MWSRP was in 2010 where students from ASD worked side by side with MWSRP scientists, helping them gather data and photos and learning how whale sharks and the Maldivian economy and culture were all intertwined. The words of one past student sums up the experience best when he said ‘it was an amazing way to experience what it would be like to be a marine biologist.” Another student on a subsequent trip, indicated that it was his experience with the MWSRP that has inspired him to pursue marine biology and conservation science; fields of study in which he is currently engaged at university. The power of the experience of students on these trips is phenomenal and life changing. Many students initially sign up expecting to spend a week in the Maldives with their friends on the beach. The final impact that this experience makes on them cannot be farther from the truth based on their feedback, their reflections and in their career choices, many of which have been influenced by this one week with the MWSRP. Since then, ASD has collaborated annually with MWSRP and it is one of our most popular trips. I can happily say that ASD whole heartedly thanks the MWSRP for the amazing learning experiences that it has afforded our students. 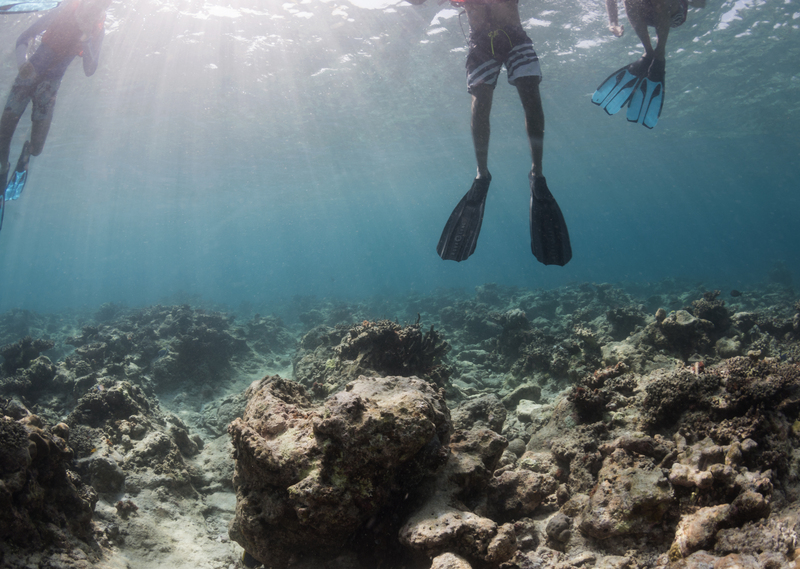 Where else can students be marine biologists in paradise under the watchful eyes of professionals who always make safety and education their top priorities. I highly recommend the MWSRP, to all schools looking to extend student growth as community partners, marine scientists, and global citizens. The program’s core philosophy blends learning, conservation, and community mobilization with collaboration. As a hands- on learning opportunity for students, this weeklong program is one of the most engaging we offer amongst the 29 options in the International School of Kuala Lumpur’s annual Global Action Program for grades 9, 10 and 11 students. ISKL students had a fabulous week working side-by-side with the dedicated researchers both in the water and in the classroom. ISKL students observed, studied, photographed, measured, and compared their own sightings of the whale sharks with the ongoing profiles of each of the 200+ sharks being tracked by MWSRP. More importantly, ISKL students partnered with Dhigrah Island’s high school students who have an ongoing work relationship with MWSRP. MWSRP’s headquarters are based on Dhigrah Island, supporting an ongoing relationship with Dhigrah’s local community as partners and pioneers. Safety standards were excellent. Accommodation: very comfortable and convenient. Food: delicious. Friendships developed with Dhigrah students and the MWSRP: cherished. Please contact me any time if you would like to discuss this amazing program. I give it my highest recommendation. 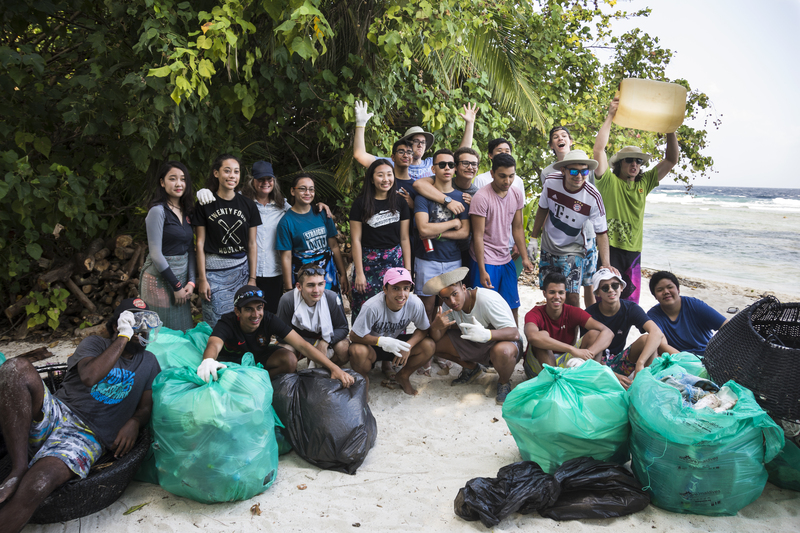 High school students from Singapore American School had a lot of fun while they gained meaningful global citizenship skills through engagement with the Maldives Whale Shark Research Program (MWSRP) in the stunningly beautiful Maldives. 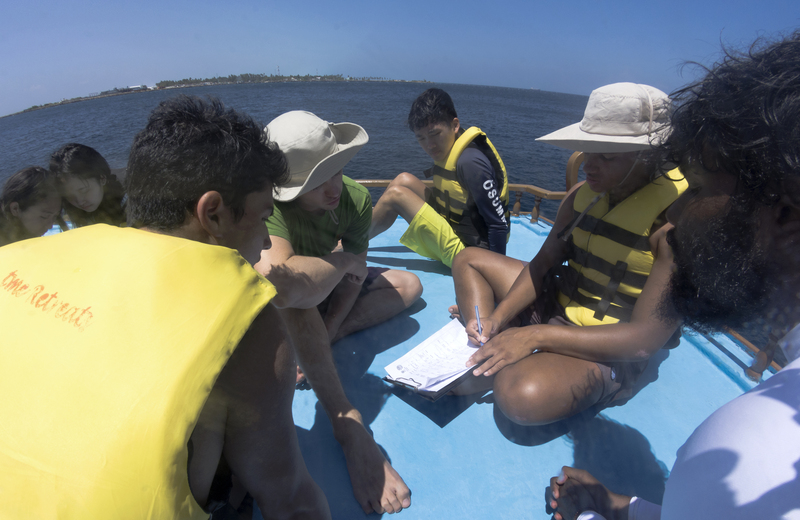 Scouting for megafauna and counting tourist boats in the Marine Protected Area on a Dhoni using scientific protocols honed students’ systems thinking skills. 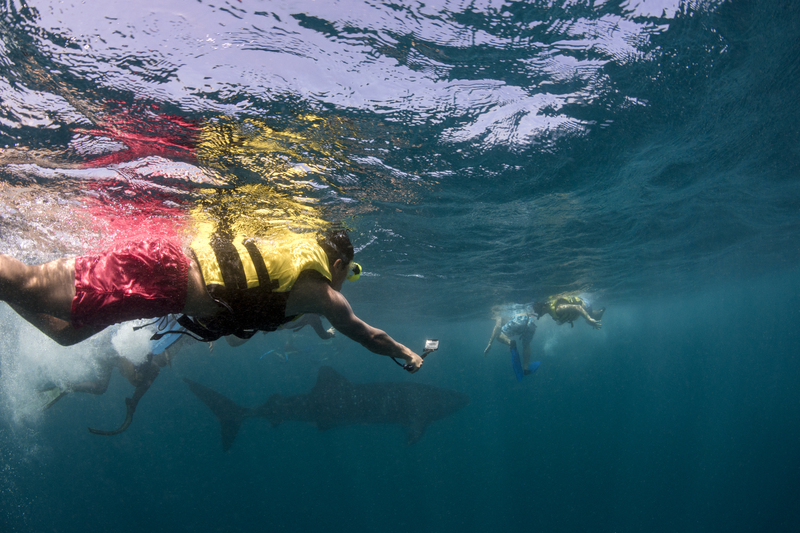 Learning the practice of monitoring whale shark biology and recording sitings for ecological research deepened our students understanding of the influence and power of marine science for conservation. 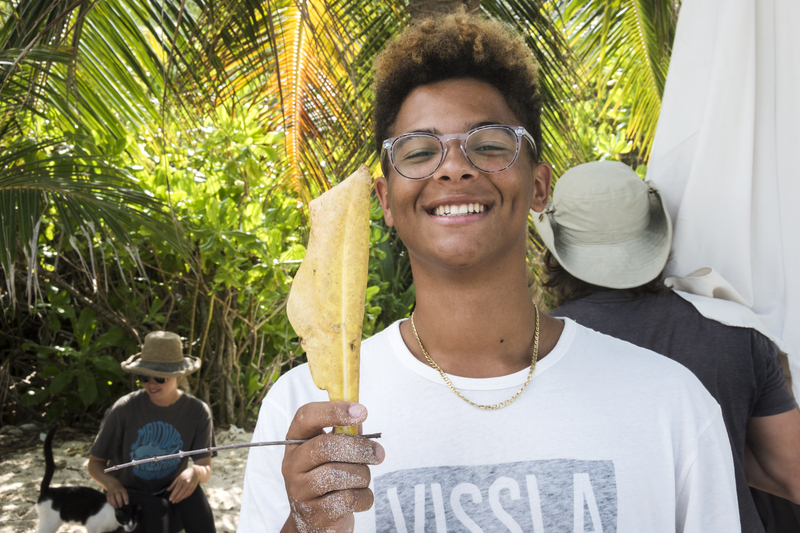 Snorkeling on fragile coral reefs to observe whale sharks and threatened reef biodiversity gave our students a sense of belonging to a global conservation movement. The synergistic action of sharing cultural traditions with island school children built in all participants social competence and appreciation for cultural diversity. The experience with MWSRP motivated students to act within their sphere of influence and gave them the confidence to create change in a bigger context for a sustainable future back at school. MWSRP provides learning of the best kind beyond the walls of the classroom and confines of urban life.